“The bus was stopped and the women were shot because of their ethnicity,” said provincial government’s spokesman Anwarul Haq Kakar. The entire nation has come united behind the Kashmiri cause. It is the one cause that can even bring together opposing political parties. And it is easy to understand why. How can one watch the brutal treatment of Kashmiri people by Indian forces and not feel some sympathy and anger? It is the same pain we feel when we see how our brothers and sisters in Palestine suffer. This is not an post criticising support for the Kashmiri people. But it is asking why we can’t find the same sympathy for others closer to us? Yesterday, four Shia women were murdered by sectarian militants in Quetta. They were singled out and killed because of their sect. This incident has received some reporting, but nothing like the attention paid to Kashmir. Before you say, “but this is just four women and Kashmiris are being killed and injured by hundreds” let me remind you that yesterday’s attack was only the latest anti-Shia attack in a long line of such killings. A few months ago, Jinnah Institute released a report noting that Pakistan has become a nightmare for Shia who are being slaughtered by the thousands. 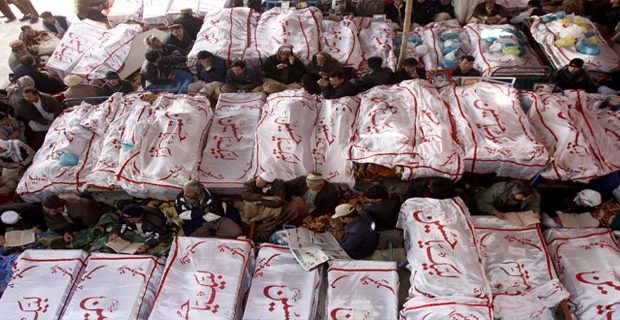 Gen Raheel has strongly condemned the killing of Kashmiri youth, but he is silent on the killing of Shia women. 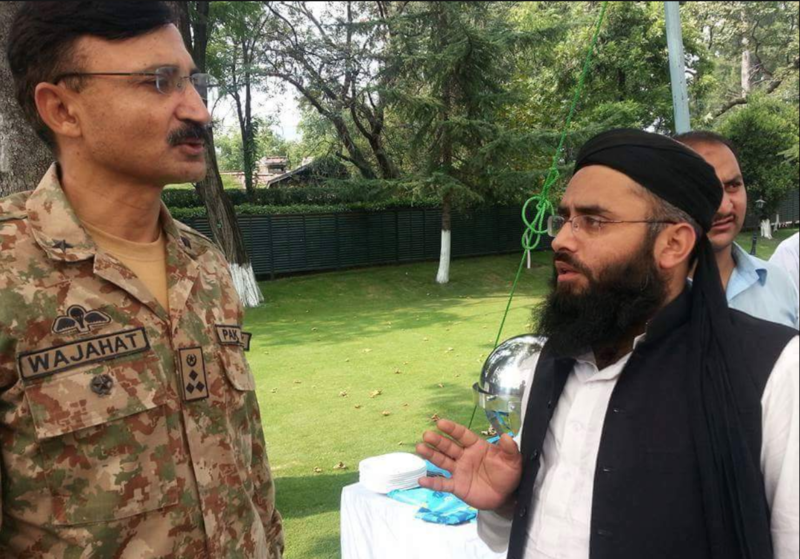 Behind the Army chief’s silence, though, there is some talking. Have we used all of our sympathy for innocents being killed in other places? Don’t our own fellow citizens deserve the same level of sympathy and anger while they are being slaughtered? Where are the angry condemnations? The speeches at the UN? Where is the Difa-e-Pakistan Council rally to defend our country’s Shia? Or is one’s value only a factor of their political usefulness in our eternal war against India? This entry was posted in Blogs and tagged ASWJ, Brigadier Wajahat, Gen Raheel, kashmir, Quetta, Rabnawaz Tahir, shia genocide by Mahmood Adeel. Bookmark the permalink.